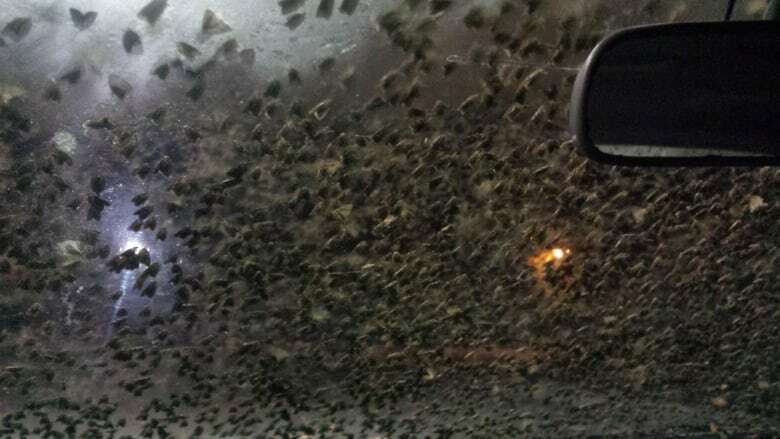 Rob Johns, an insect ecologist with Natural Resources Canada, says the moth influx is a migration of spruce budworm moths due the current weather conditions. "These naturally warm weather conditions tend to cause updrafts, which allow the moths to be pulled up into the atmosphere and they can be carried hundreds of kilometres away." "You can actually see the radar imagery of these big plumes on non-precipitation nights, big plumes of something moving down from the north." 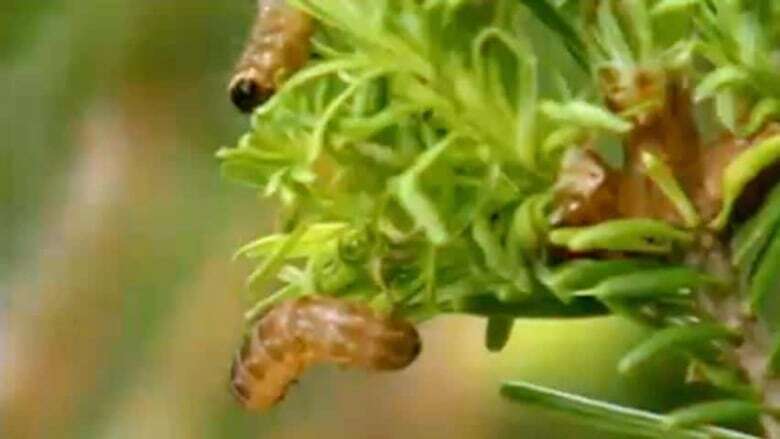 Spruce budworm caused massive defoliation in the province in the 1970s and '80s, and although it has been on a downward trend since then, over the past few years scientists have begun warning of another serious outbreak. 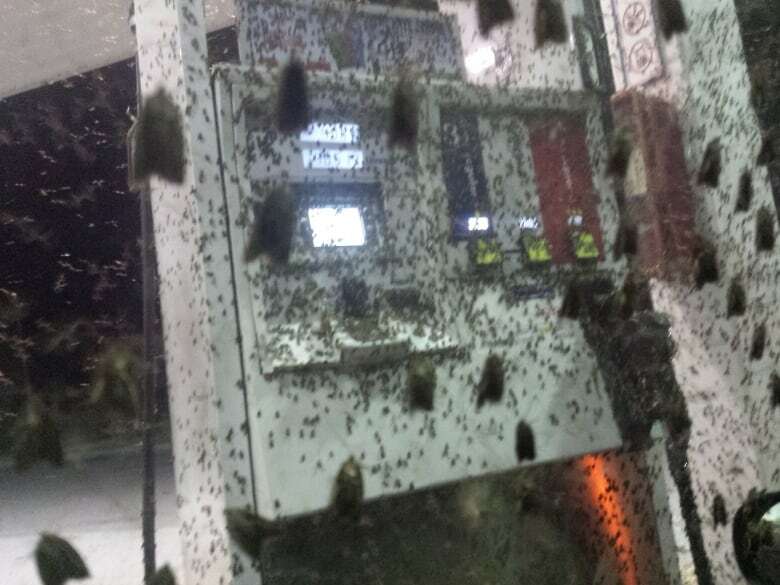 Johns says there is an outbreak happening right now in the province, covering about six million hectares of land, especially in the northeast, but so far it's only a low-density population of insects. "As many as 70 or 80 per cent of these can be male moths, which of course are not carrying eggs," said Johns. "Right now my crew's up there digging through the thousands and millions of them that are basically sitting over the parking lots in the area." 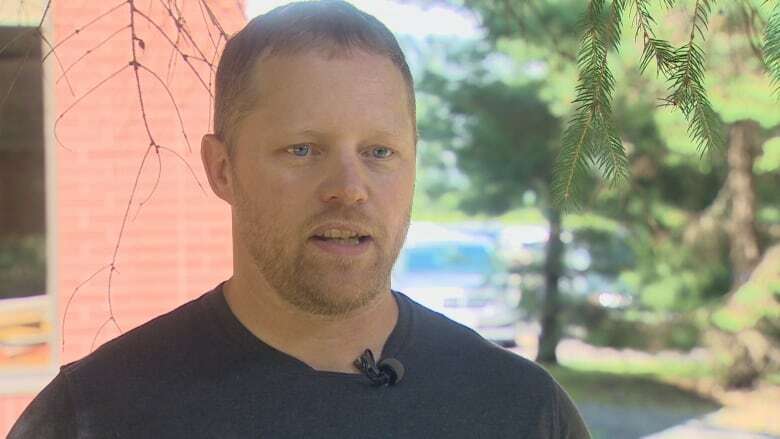 He says his group is looking at these hotspots to prevent the budworm from spreading to other areas, " not unlike how you might treat the leading edge of a forest fire." These kinds of mass events are not unprecedented, says Johns, and while they don't necessarily lead to a major budworm outbreak "it's wise to be vigilant." The spruce budworm is a caterpillar which feeds on the needles of balsam fir and spruce trees. "We have people trapping for us using pheromone traps. 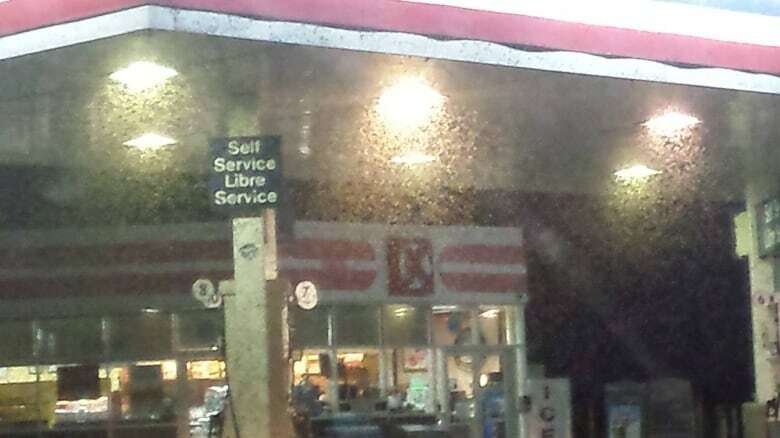 We've had reports of them from as far down as Saint John and Shediac."